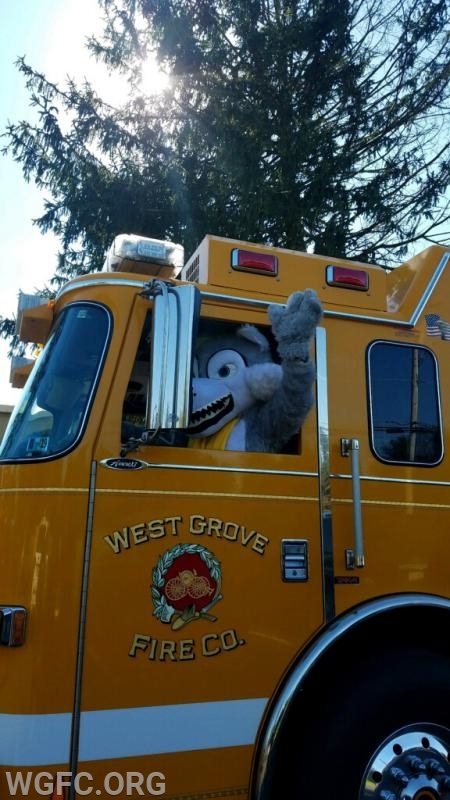 October is Fire Prevention Month and the West Grove Fire Company members and trucks were busy visiting area schools and day care centers, spreading the word about fire safety education to young children. 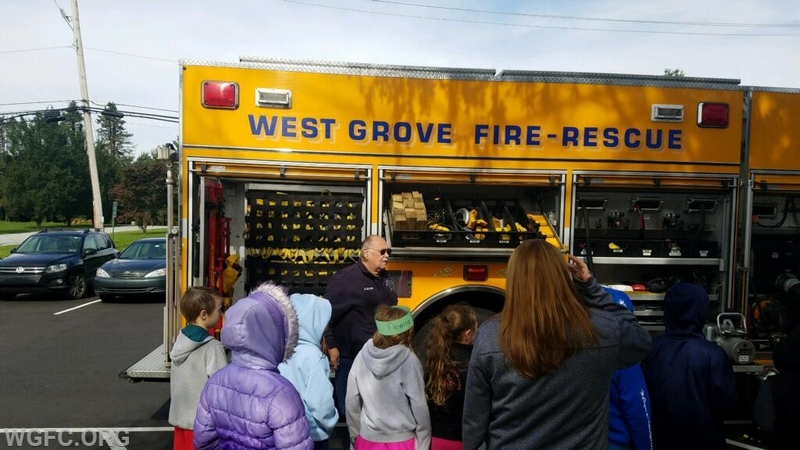 Over the years, the West Grove Fire Company has earned a statewide reputation for having one of the most proactive, engaged and busy fire prevention programs in the Commonwealth. 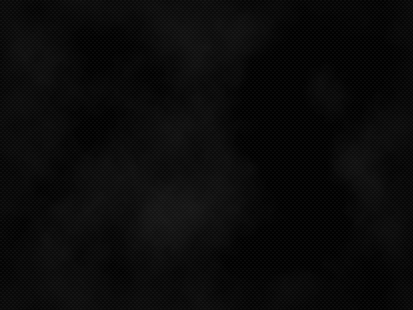 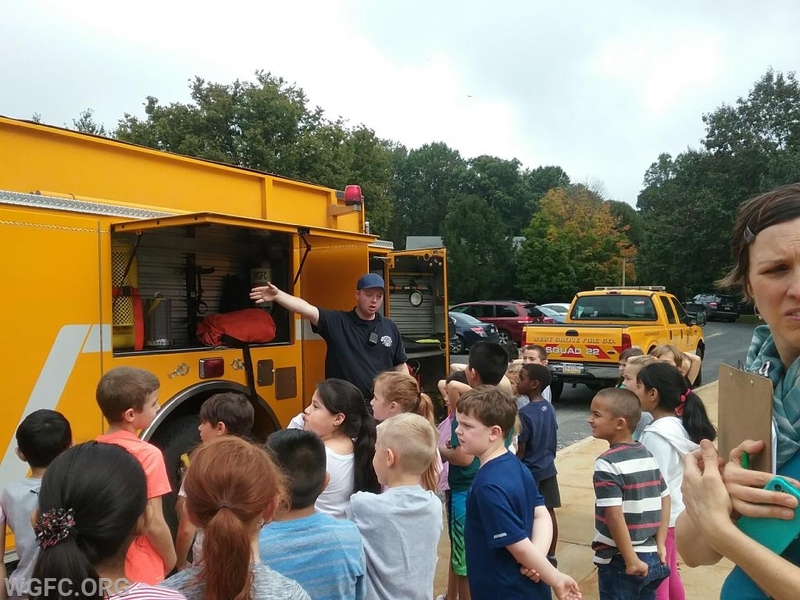 While many see fire companies as organizations focused on putting out fires and transporting sick people in ambulances, the WGFC has always had as an additional core mission to educate the public -- and especially young children -- about how to prevent fires, stay safe in emergencies, and know when to call for help. 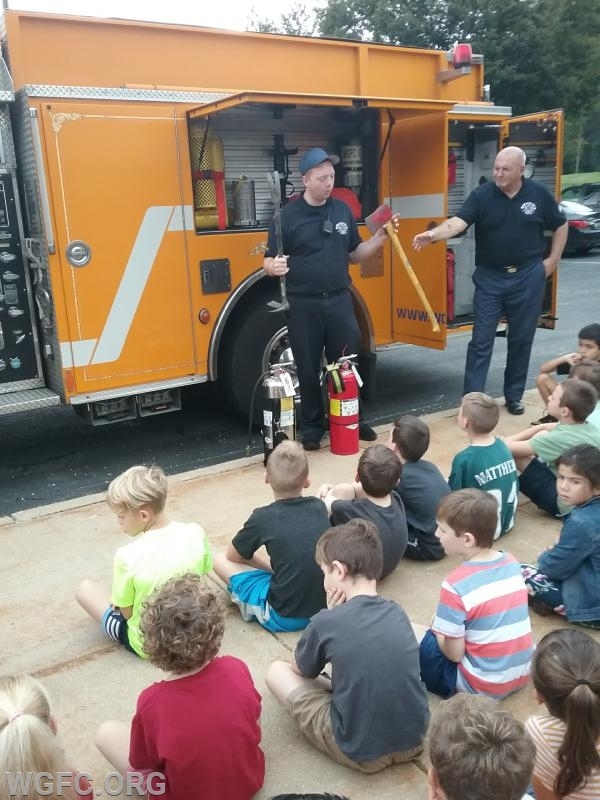 Each fall, the fire company sets up sessions for dozens and dozens of classrooms to get to see the fire trucks and talk with our firefighters about fire safety, home escape plans, and the basics of "stop drop and roll." 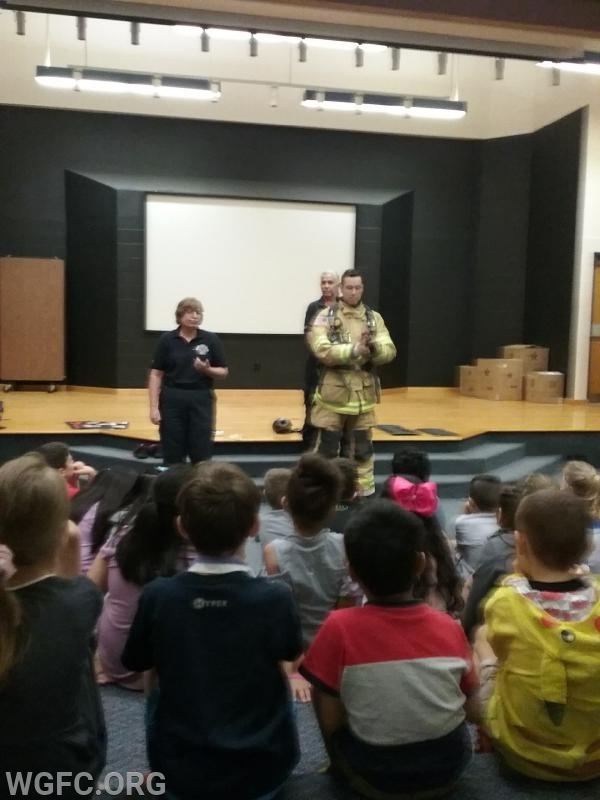 Kids learn to encourage their parents to create family meeting places and escape plans, how and when to call 911, and to remember to keep doors closed at night to prevent fire and smoke spread. 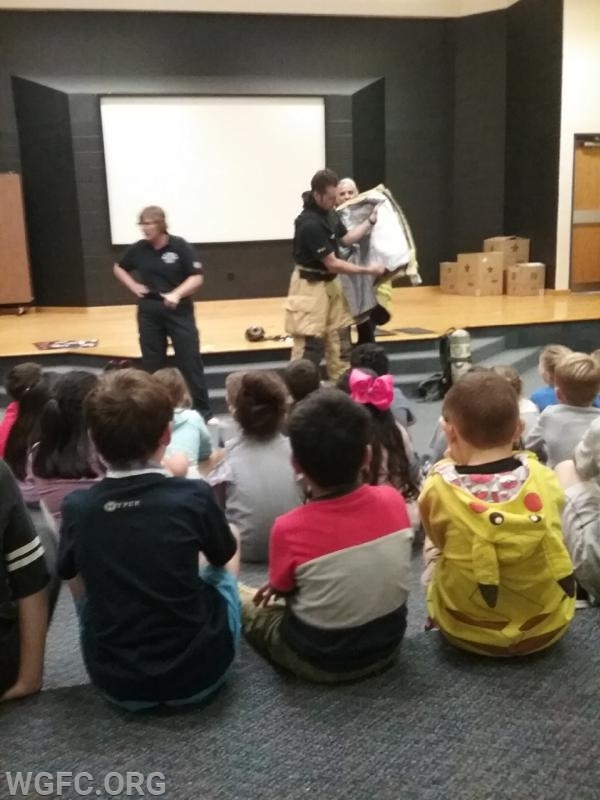 Kids get to meet firefighters fully dressed in their protective gear so they are not scared if they see them, and what to do in emergencies. 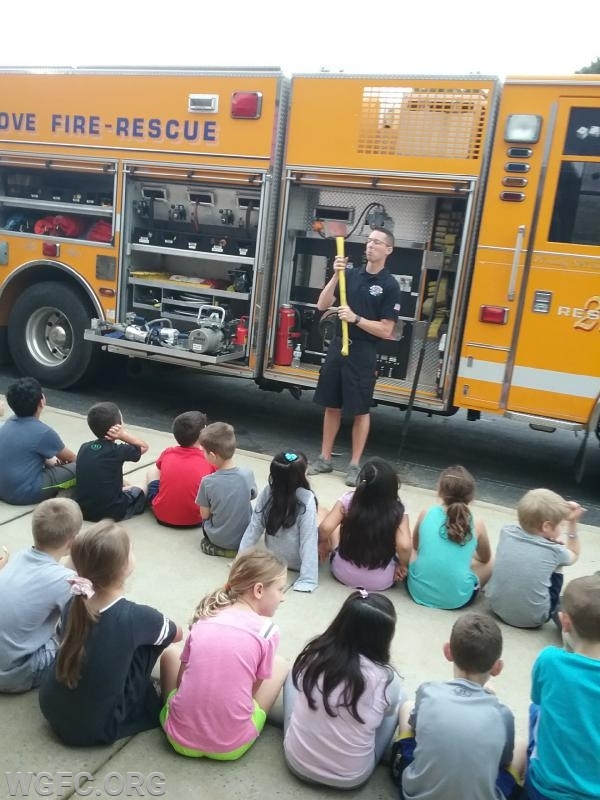 Each of these visits normally involves sessions with multiple classrooms over many hours. 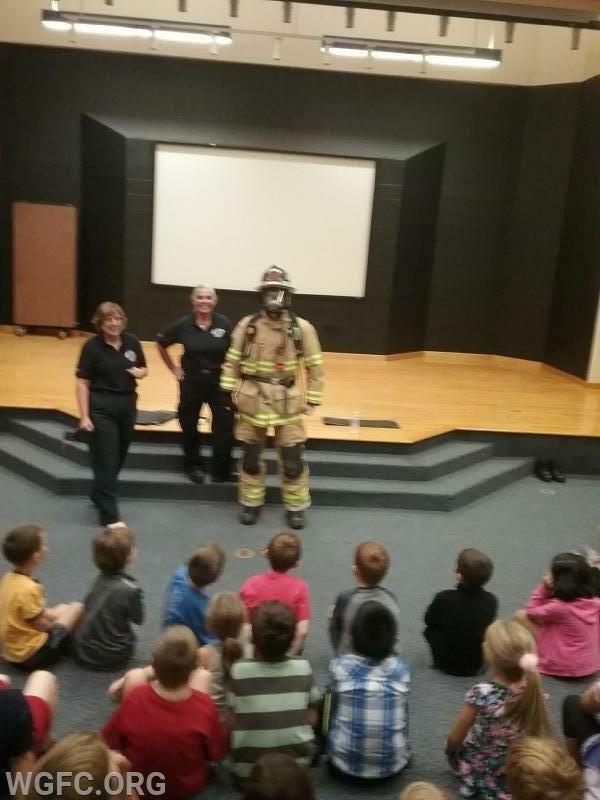 We congratulate the men and women firefighters who take time to make these many school visits. 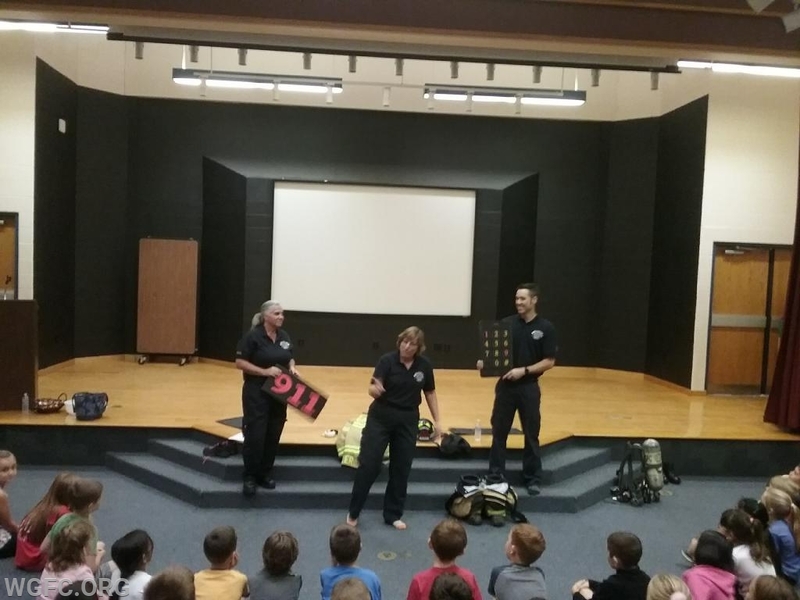 And we recognize the work of the core committee, led by our own "Firefighter Lisa" (Lisa Glass) who coordinates this annual effort. 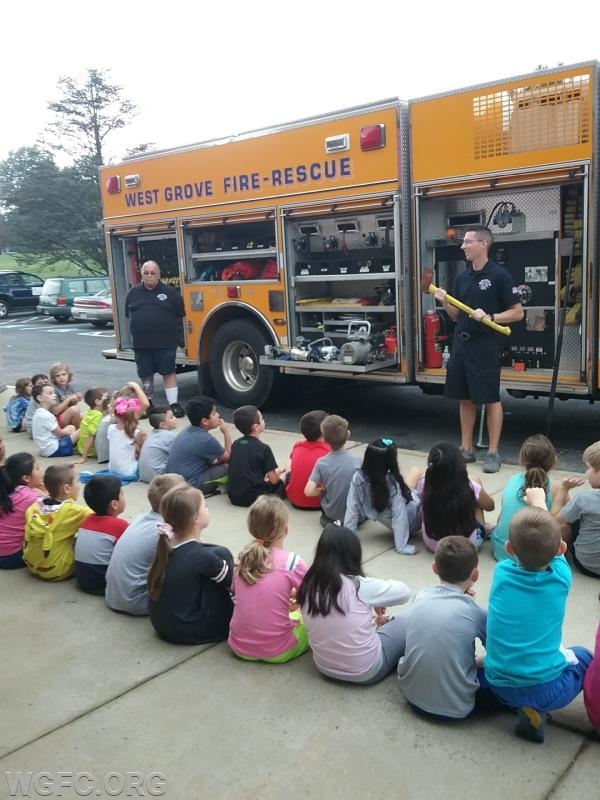 Helping young children learn early about the dangers of fire, and the ways to prevent and survive emergencies is important work, and very rewarding for the WGFC. 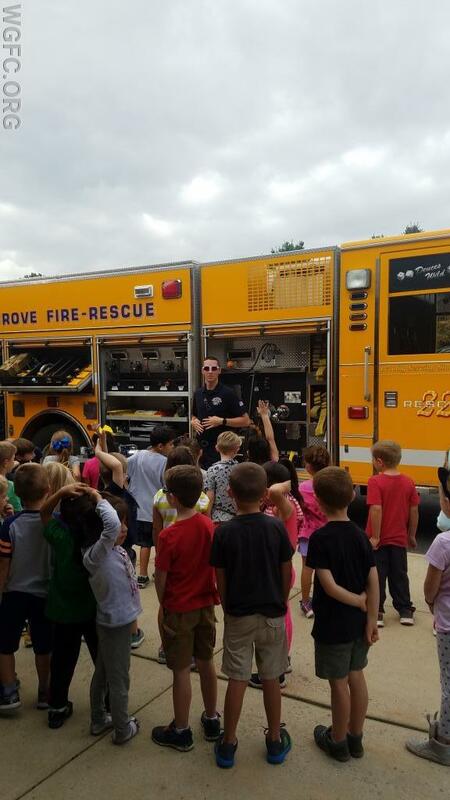 We thank the schools, teachers and organizations that cooperate with these programs. 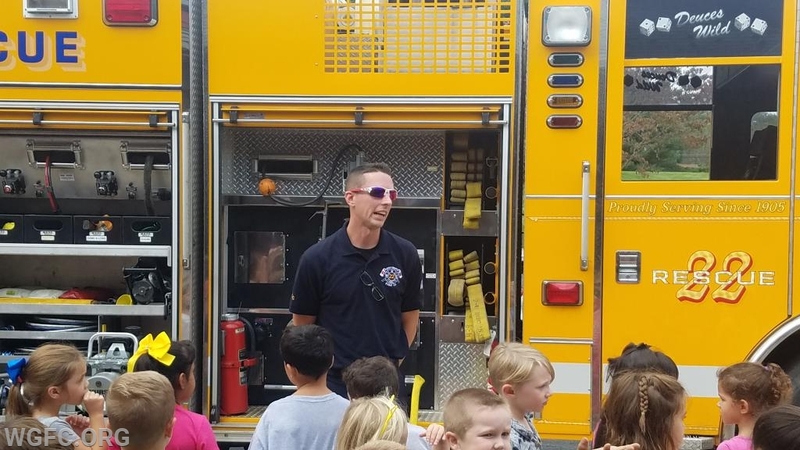 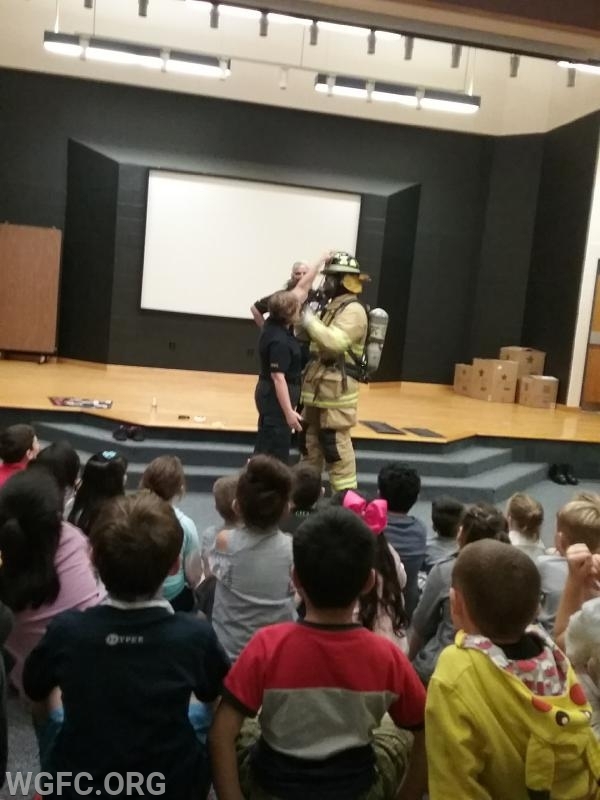 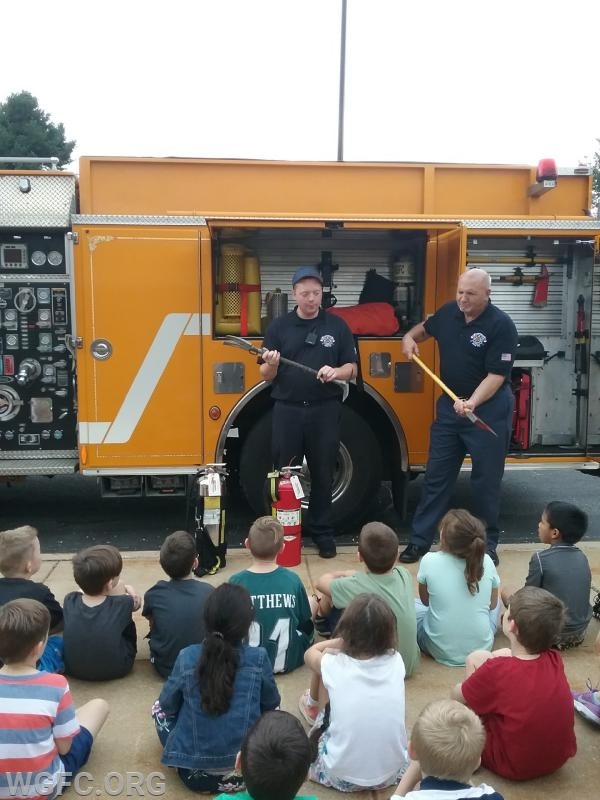 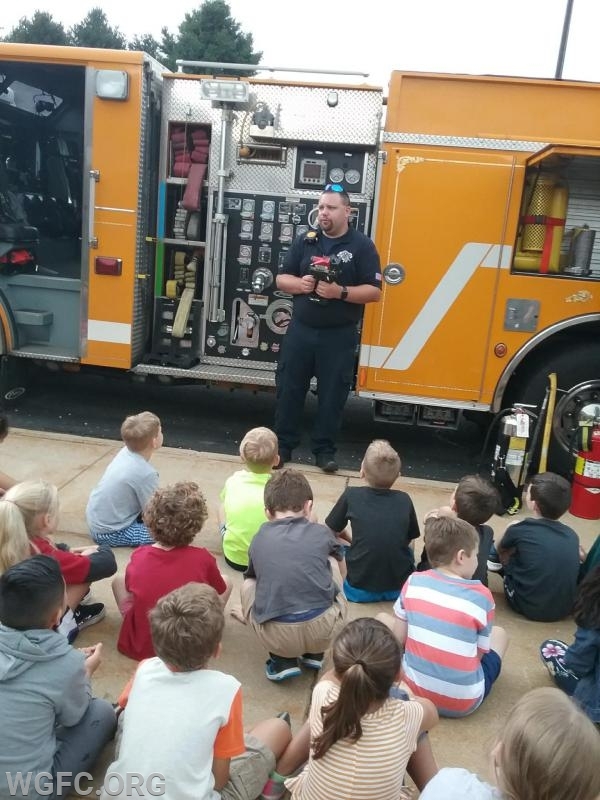 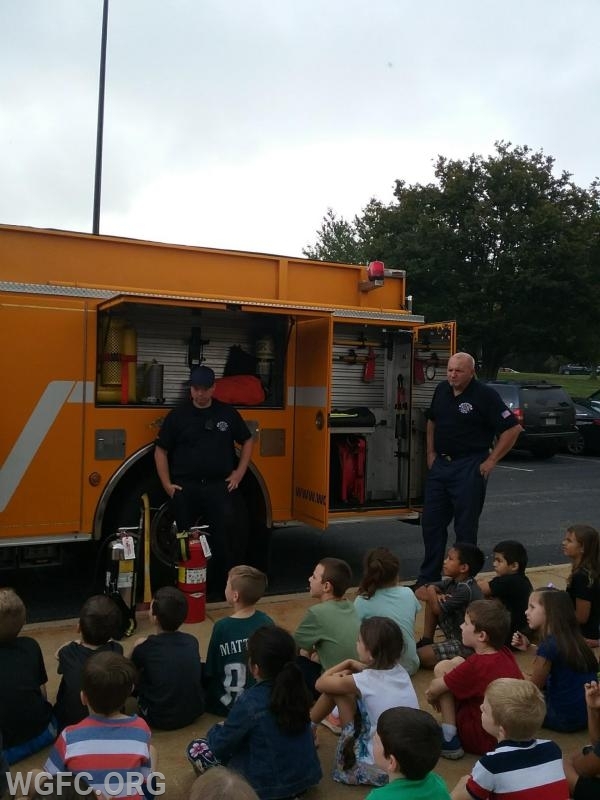 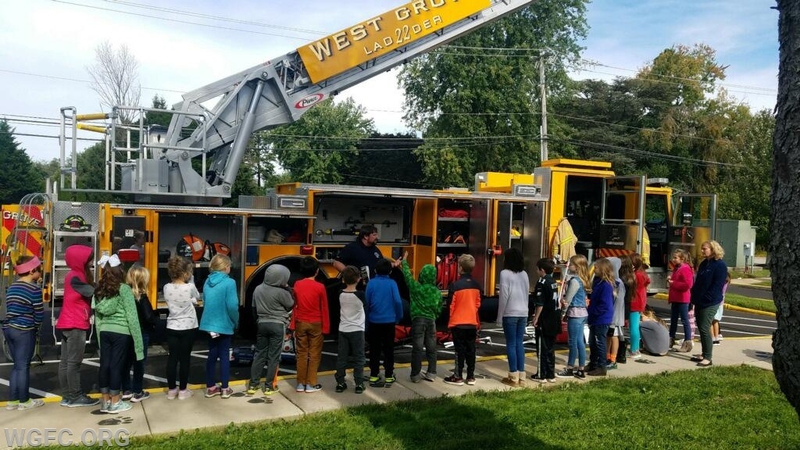 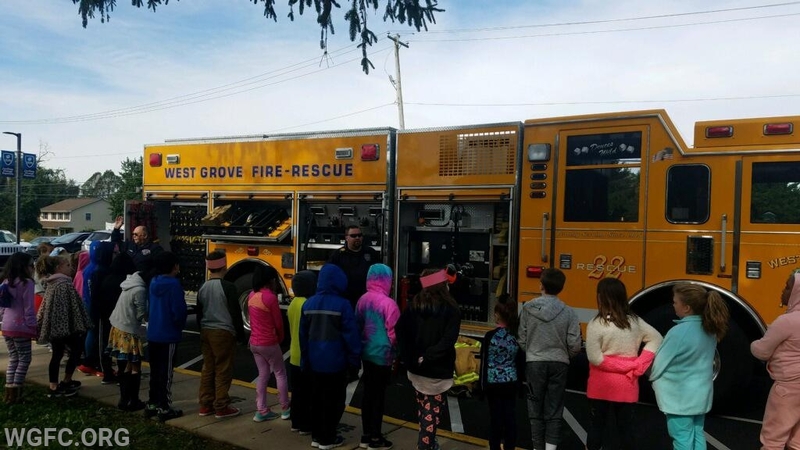 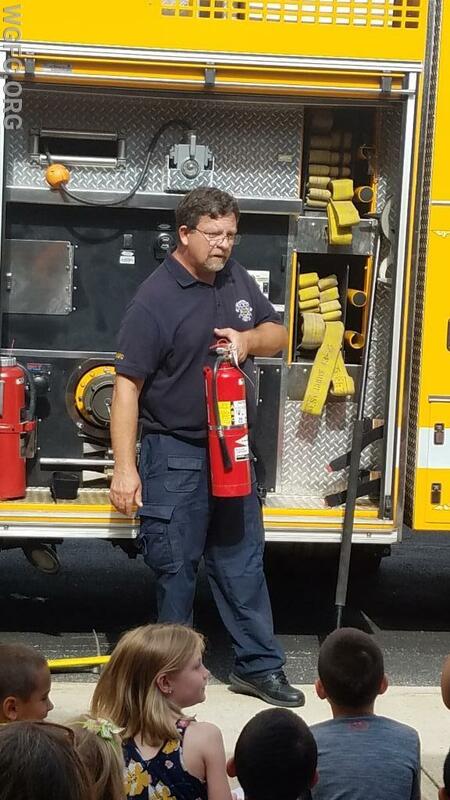 Fire Prevention Month is wrapping up, but not before more than 5000 students in the community got fire safety education from members of the West Grove Fire Company.